12 Reasons Why a Visit to Iceland Should be on Your Bucket List! When you think about Iceland, a mental picture of a country with unending sheets of ice, snow and freezing cold is likely. However, this is only partly true and quite an unfair representation of the real treasures of Iceland. The people are warm and welcoming, the land itself is magical in every experience. It is a land of myth and legends, and the diverse landscape from ice to green; volcanoes and waterfalls is breathtaking. Indeed, the country is so picturesque it is no wonder it has become a Hollywood favorite location for shoot epic scenes. 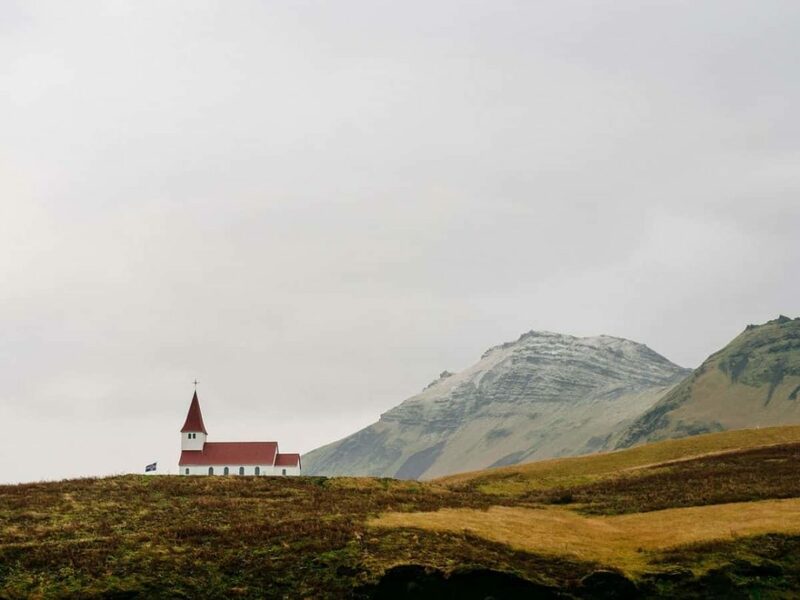 Most people love exploring this country via a road trip; here are some great tips for your road trip as well as a 7 day Iceland road trip itinerary. Here are some top reasons why you should go to Iceland on your next vacation. 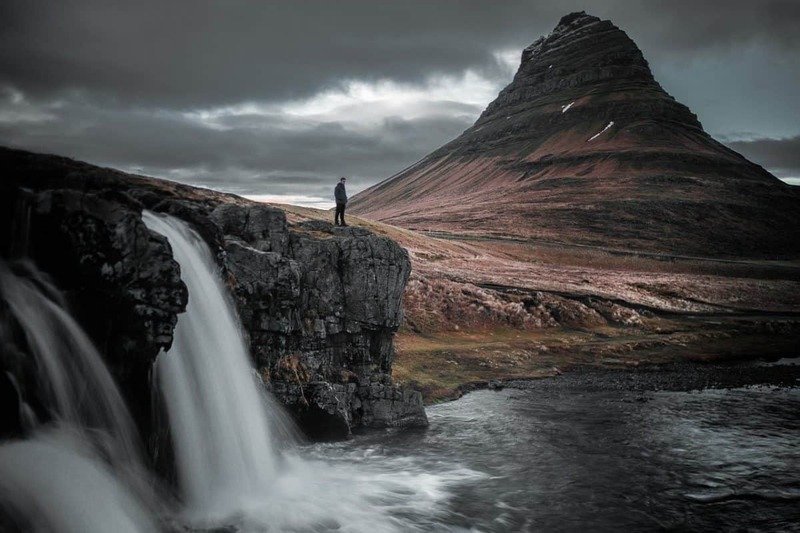 If you are looking for reasons why you should visit Iceland, this post will indeed confirm your suspicions that Iceland should be at the very top of your bucket list. Here are 12 reasons to travel to Iceland for your next vacation. So why do people visit Iceland? Well for one, because you can see the Northern Lights in Iceland. The phenomenon known as Northern Lights or by its technical name aurora borealis is a beautiful sight in the sky at night. These lights are said to be caused when the upper section of the atmosphere is struck by supercharged electrons caused by the solar wind. When viewing them at night they seem to be pure magic. With Iceland’s location at the top of the world, the country becomes the best spot to view the full wonder of the Northern Lights. They are usually seen on the Jokulsarlon lagoon located in South Iceland. They are largely seen over the period from September to April. The best way to experience the Northern Lights is on tour, where the experts will know what to look for as well as when to expect it. 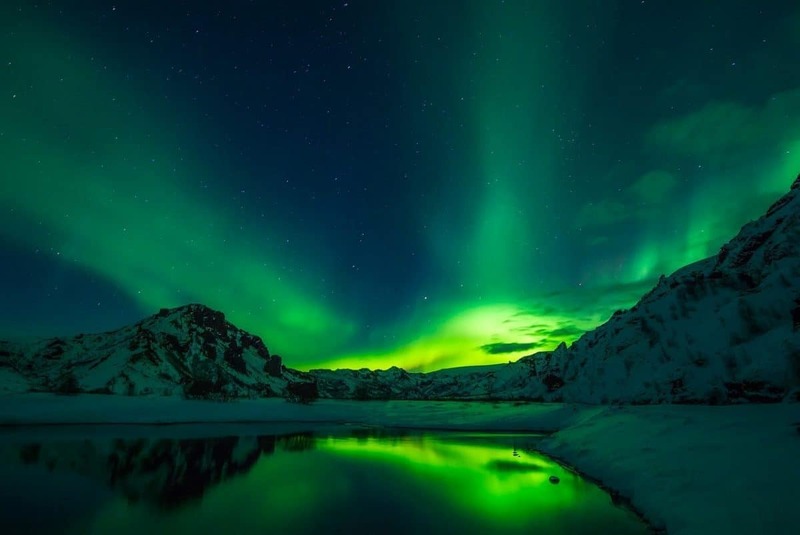 The most popular tour is the Northern Lights Bus Tour from Reykjavik. Click here to check details and pricing. Why should you visit Iceland? Well, so that you can get one of those moody misty photos of the Blue Lagoon of course. 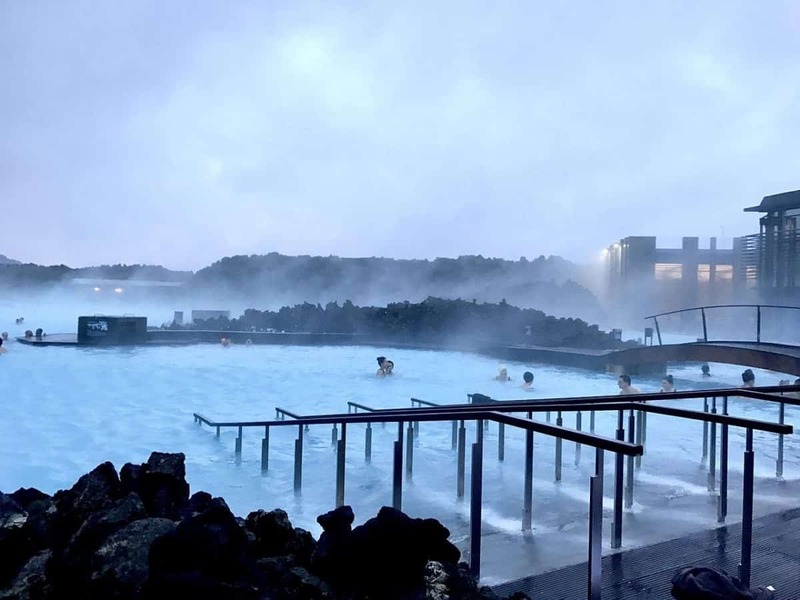 There are several hot pools in Iceland and its abundant use of geothermal power demonstrates this fact. However, one such pool takes the prize home and has earned international fame, the Blue Lagoon. The water is geothermal heated and it is warm all year round such that taking a pool on the water is on most tourists’ checklist. Lava rocks with an extra appeal thanks to the snow cover they have taken over years add to the spectacle. With its sulfur and silica content, a good dip in the water is refreshing and healing to your skin and spirits. In case you want to get away from the tourists, you can get your share of dipping from one of the different natural hot tubs that are all over Iceland. The best way to visit the Blue Lagoon is by rental car. If you do not wish to drive yourself, I highly recommend that you grab a spot on the full day small-group tour of the Golden Circle and Blue Lagoon. You can check prices and info on this popular tour here. 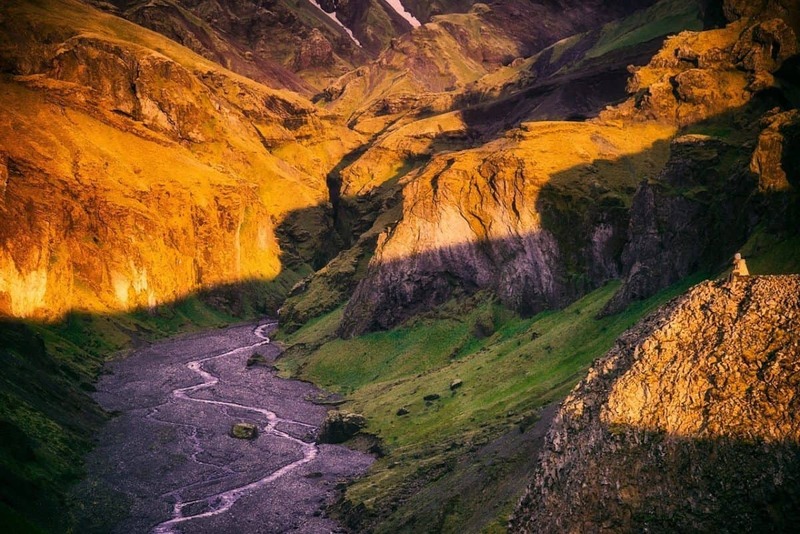 Iceland is a country with many peaks and the mountains with their extending ranges provide a beautiful cherry-on-top to the already magnificent landscape. Some are multi-coloured like the ones found in Landmannalauger. The mountains are made from rhyolite rock a result of volcanic activity. You feel like you are hiking on multi-colored glass made of pink, green, black, brown and purple and even yellow colors. There are mountains close to the city for those who don’t feel as adventurous, or you can go to the ones in the far ridges which provide greater hiking opportunities and a different perspective. 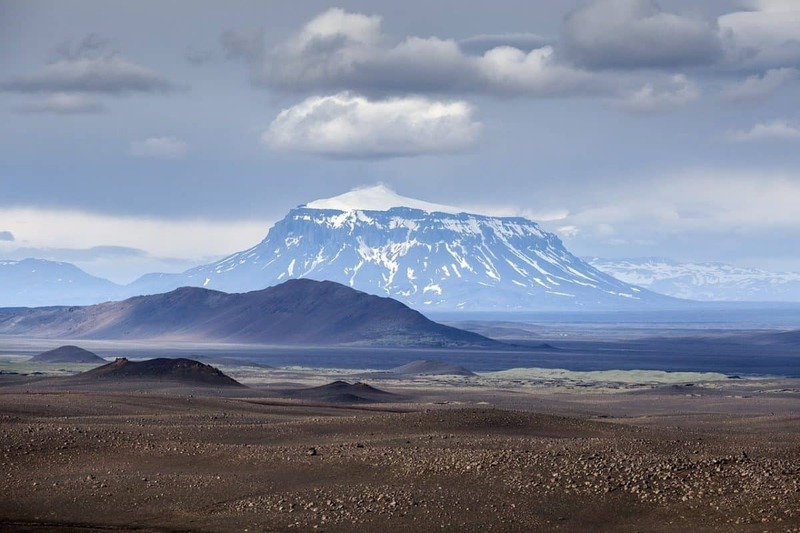 No single mountain in Iceland is similar to another; each having its unique and distinct characteristics. Again, the mountains are best discovered with a rental car, however, you can join this great tour if you wish to simply sit back and enjoy the views. The tour starts from Reykjavik and heads out for some Landmannalaugar Hiking and Hot Springs swims. Click here if you wish to check out more details on this adventurous tour. Iceland is known as the land of ice and fire yet it is only the ice part of it that occupies the minds of many. A trip to see these landscapes is a trip into natural art. 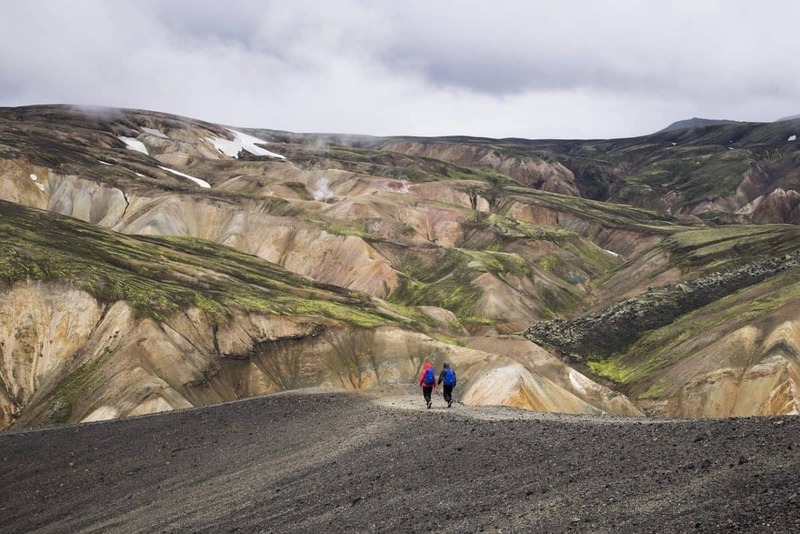 If you love adventure, you can also enjoy some tours that will allow you to descend right into the heart of a volcanic mountain like the Thrihnukagigur volcano. This is usually a journey 128 meters deep and allows you to explore the volcano seeing the stained walls which creates a powerful collage – what a truly unique opportunity! Waterfalls are a standout feature in Iceland and there are many of them. Thanks to the landscape of the country and with several peaks and slopes, it is easy to find a waterfall. They capture the essence of the beauty of Iceland with the water dropping majestically over lava rocks and vegetation providing a great background. They range from high and powerful ones to small ones which usually occur in series. 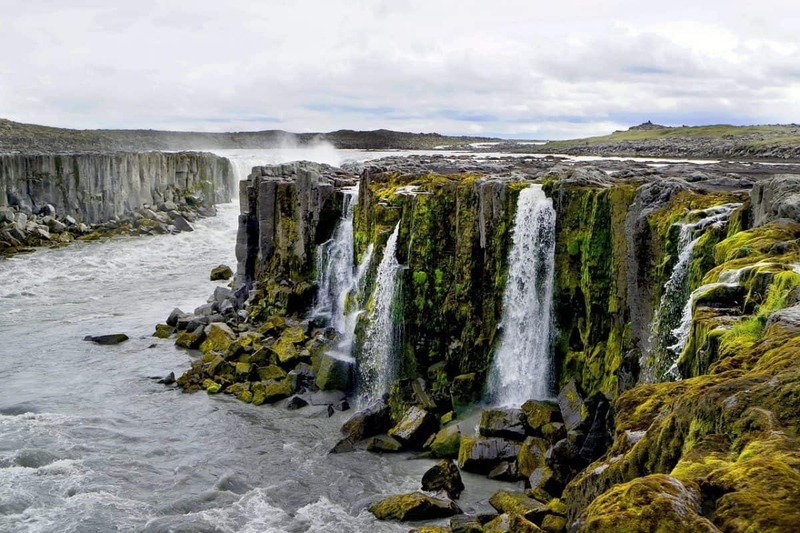 The Svartifoss waterfall is one of the major ones and a prominent tourist attraction. 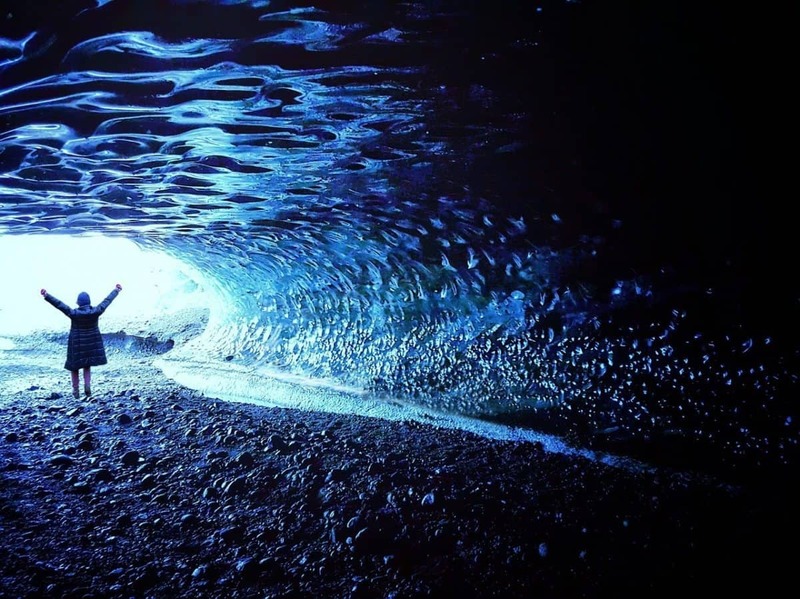 The ice caves of Iceland have been featured in a number of movies and they are even more breathtaking when seen firsthand. They are usually found next to or inside glaciers. Some, like the one in the Langjokull glacier, is manmade. The crystal walls and the effect of the light on the walls is a spectacle you have to experience. 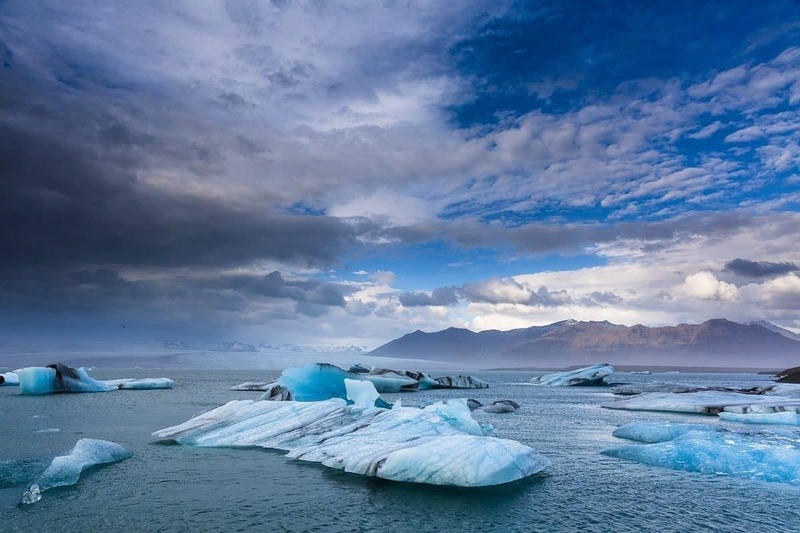 11% of the land in Iceland is covered in glaciers and they are largely found all over the country. The best way to see these glaciers is via a cruise. Some have resulted in big icebergs creating great attractions with the unique wildlife they attract. The cuisine on the island is pretty unique. 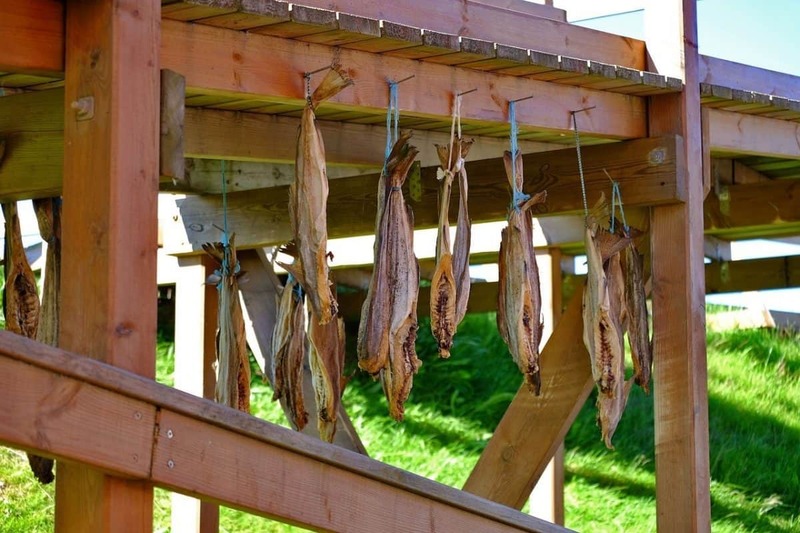 While the history of the place required farming, fishing, and gathering in the harsh conditions; advances in technology and agriculture have seen a development of a new and fresh cuisine you have to sample. You can enjoy a wide range of dishes from lamb dishes to seafood meals. They also have options that will cater to specialized diets. Here are suggestions for vegan restaurants in Reykjavik. This is another uniquely Iceland experience you have to experience. Iceland is located just under the Arctic Circle giving it bright summer nights. These never-ending days can be experienced from May to late July. During the summer solstice, from 20th to 22nd June, the Midnight sun sets a few minutes past midnight and it rises before it is 3 AM. Whether you are alone or in a group, this experience feels out of this world and creates different perspectives on some of the major landscapes. Iceland is the perfect destination for adventure-loving travelers. Whether you are looking for cycling, riding or hiking adventures and tours. It is a great country for those who enjoy Jeep journeys; whilst the mountain ranges provide challenges of varying difficulty to hiking enthusiast. The open land is paradise for cyclists and bikers with hilly sections and slopes providing the needed challenge whenever you crave some. You can never be out of ideas for a new adventure in Iceland. Why do people go to Iceland? Because of the truly unique stunning natural scenery. 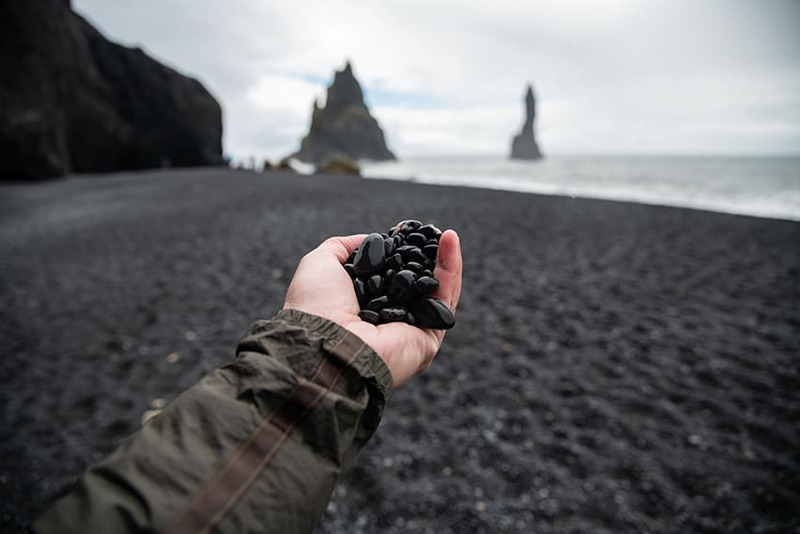 Iceland is one of the few countries in the world that boats of some truly unique black pebble beaches. The most photographed of which is the famous Reynisfjara (close to the village of Vik). Not only does the beach have black pebbles, but it is also surrounded by black basalt cliffs and features some truly incredible gigantic rock formations. Other black beaches to check out is Djúpalónssandur on the Snæfellsnes peninsula and the impressive “Diamond beach” of Breiðamerkursandur. We highly recommend this beautiful tour of the South Coast. It is a full-day tour from Reykjavik. 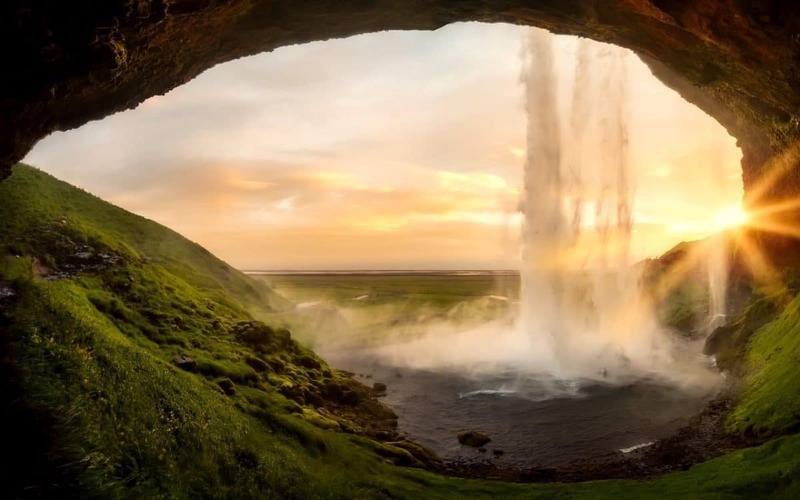 On this tour, you will visit Seljalandsfoss waterfall and take in the incredible views from the top of the Skógar waterfall. You’ll also visit the world-famous black sand beach at Reynisfjara and the charming coastal village of Vík. Click here to check prices of this tour. 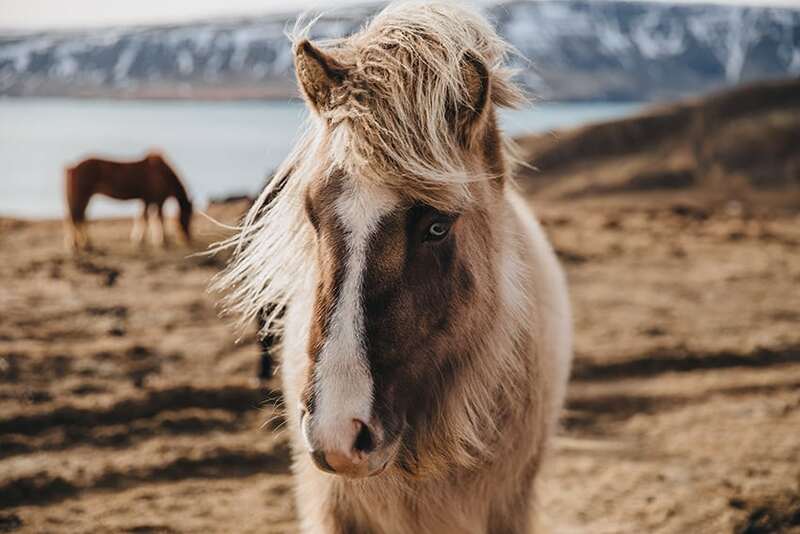 Many tourists travel to Iceland to see the unique animal called the Icelandic horse. These beautiful horses have a special skill of being able to cross the rugged rough terrain of Iceland. With such a gentle character, many travelers sign up for special horse riding tours, where they can experience the wilderness on horseback. How about you try out this popular horseback tour of the lava fields!! What an amazing experience! Check prices for this tour here. Accommodation in Iceland: We always start our accommodation research with Hotelscombined. This site makes it super easy to compare accommodation across various booking engines so that you can simply pick the best price for the accommodation of your choice. We also often book through sites such as Airbnb, Iceland is by no means cheap and you might find more affordable deals on here. Click to grab a coupon for your first stay! 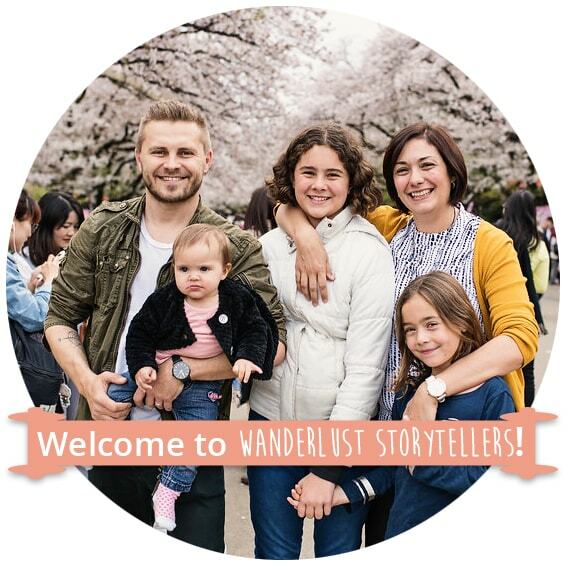 Flights to Iceland: We personally book our flights on Cheapo Air, we find that they are often the cheapest (even in comparison to Skyscanner). Click to check on prices for your flights. Car Rental in Iceland: We love using car rental companies that we can trust and that we have experience with.Auto Europe is a car rental booking service that quickly compares car rental prices across all the major brands like Hertz, Avis, and Europcar. Click to see prices for car rentals. Is Iceland on your bucket list? Which of these Iceland experiences would you plan into your itinerary? I’ve always wanted to visit Iceland and I loved your article on the beauty of this place. I had no idea Iceland had so many waterfalls, ice caves, and glaciers. I will have to take your advice about visiting the Svartifoss waterfall when I get a chance to visit this beautiful country. Nice Post. It’s a really helpful post. Thanks for sharing the blog. After reading this blog, I get to know about the reasons to visit Iceland.